Hello, holiday weekend! I’ve been gone for so long I almost forgot about Labor Day. Since I’ve been traveling for the past two weeks, I’m actually planning on working this weekend and Monday trying to catch up. I’ll be editing all of my photos from my travels, working on The Switzerland Itinerary for A Detailed Destination and planning out new content for the blog as we head into September! 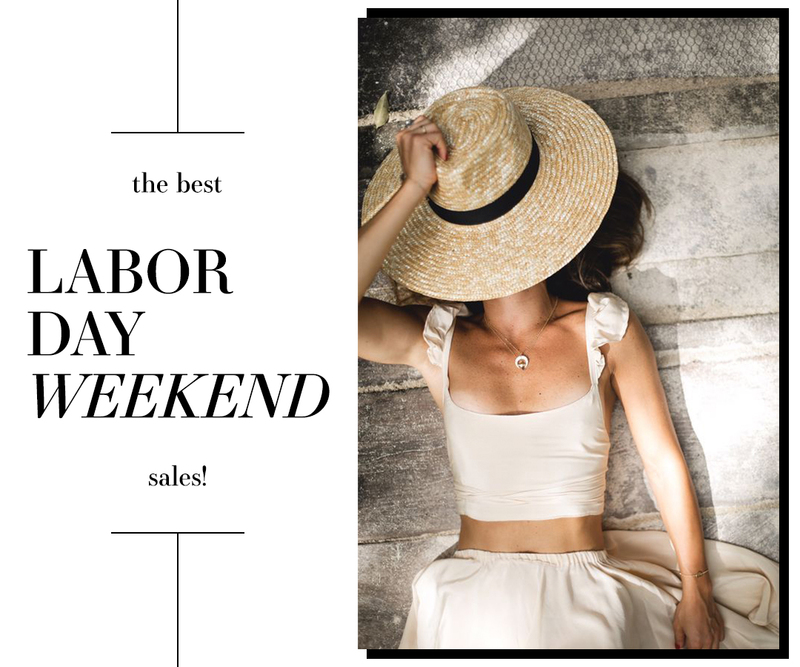 Before you guys head out for your well-deserved three day weekend, here’s a solid roundup of the best Labor Day Weekend sales for you to shop. Most sales end Monday at midnight! Hope you all have a happy and safe holiday weekend! & OTHER STORIES – take 20% off all sale with code LABORDAY20 at checkout! A few faves include these pointy-toe flats, this fall/winter work blouse and this printed dress. ANTHROPOLOGIE – this weekend take an extra 40% off all sale clothing, an extra 40% off all sale home items, and 20% off furniture! No code needed. FREE PEOPLE – enjoy an additional 25% off all sale styles! Discount applied at checkout – no code needed. GAP – get up to 50% off everything online, plus a bonus 20% off! Offer automatically applied at checkout – no code needed. J.CREW – take 40% off your purchase + 50% off final sale styles with code BIGSALE at checkout! I’m loving this collarless sweater-blazer, this polka dot sweater, and these velvet mules. LOFT – enjoy 40% off your purchase with code LABORDAY at checkout! I’ll take this pleated-cuff sweater, this lightweight dress, and this simple puff-sleeve sweater. LULU AND GEORGIA – take up to 25% off everything site wide, with code LONGWKND at checkout! Obsessed with these bistro chairs, this table lamp and this wall art. NEIMAN MARCUS – enjoy $100 off when you spend $400 or more on qualifying items (listed with “$100 OFF!” in hot pink!) and enter code NM100 at checkout! Don’t miss these boots! SHOPBOP – save up to 70% on clothing, shoes and accessories! Save on these skinny pants for work, these already budget-friendly sandals, and this effortless wrap dress. Also loving this for a holiday party/wedding this fall/winter! THE OUTNET – get an extra 50% off on over 4,500 pieces! No code needed. Don’t miss this, these and this. TUCKERNUCK – enjoy 20% off all sale items when you enter code SENDOFF20 at checkout! Don’t miss this chic top, this bag, and this classic dress. WAITING ON MARTHA – take an additional 30% off sale with code LABORDAY at checkout! Add this luggage tag, these wine glasses and this comfy maxi to your cart. So many cute deals going on this weekend!